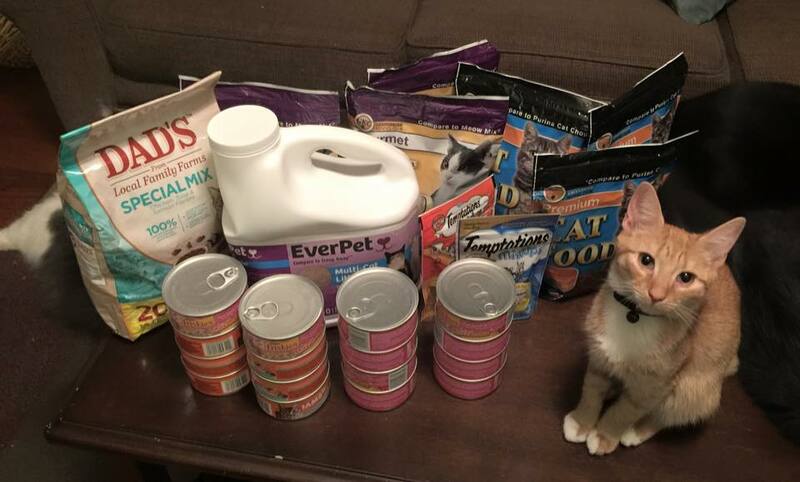 Thank you to Pet Supermarket in Burlington for hosting our September 19 adoption fair! We had a great time! 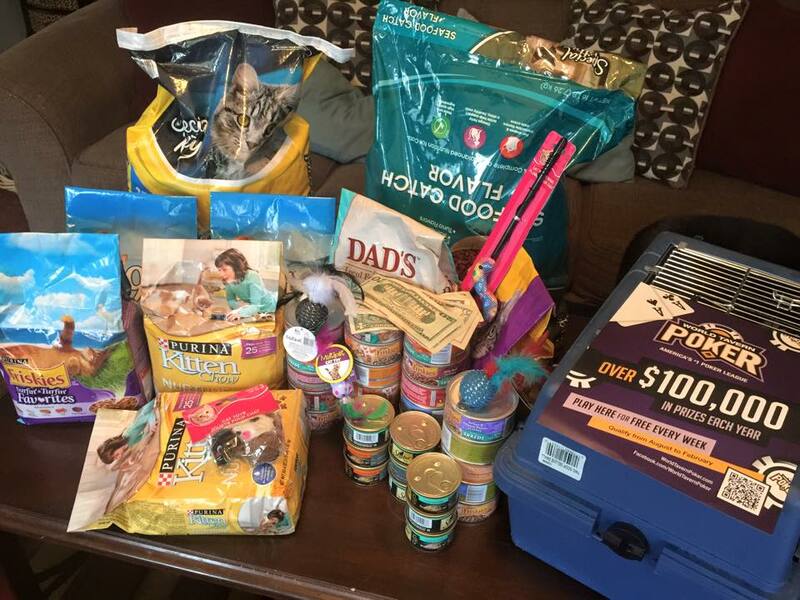 Thanks to all the supporters that dropped off donations and came out to meet our kitties and volunteers! 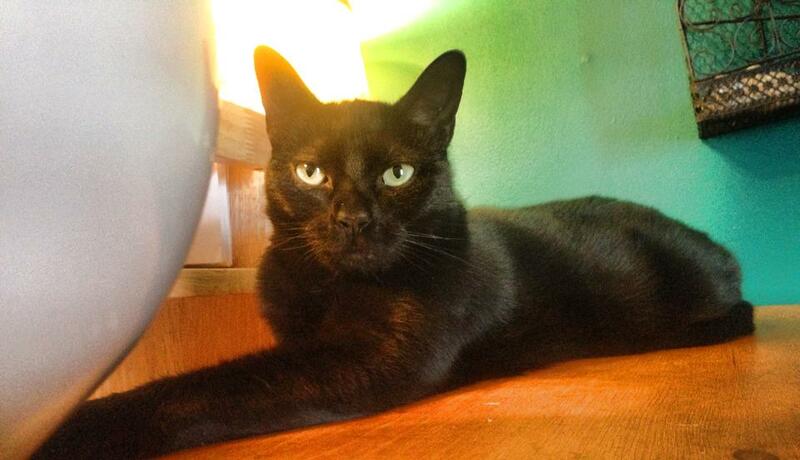 LAVENDER found her forever home today with a wonderful family! Her new 'sister' loves her so much and set up a wonderful kitty area in her castle of a room! We are so happy for Lavender. Now she and her sisters have found forever homes! 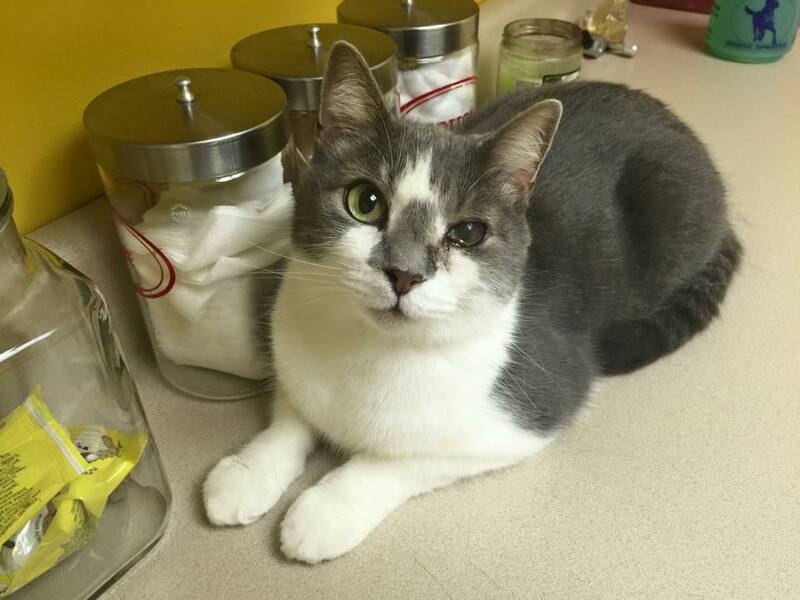 Scooter's owner contacted us about his infected eye and being unable to properly take care of him. Our Vice President offered to take him in although he is not officially in our program as of yet. 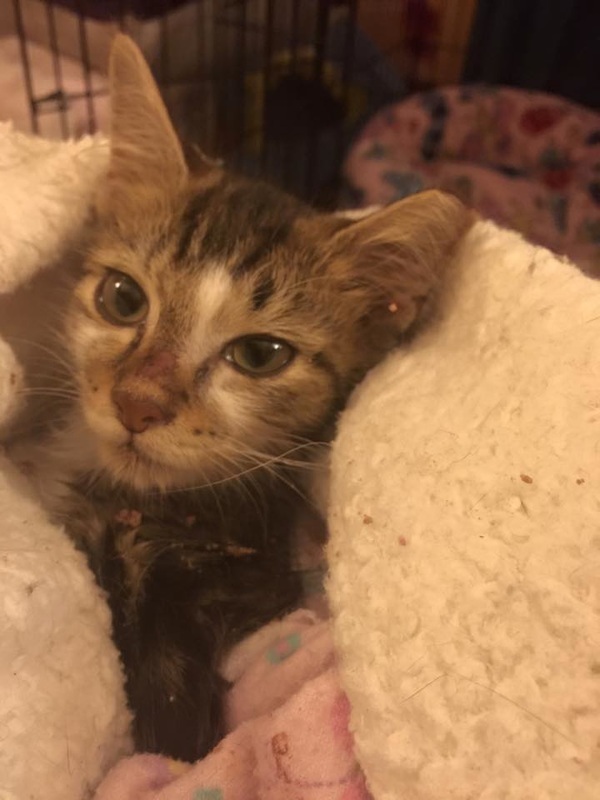 He is doing well in foster home and we will be working to find him a forever home once his eye gets the proper treatment and is under control. He is 6 years old and a very sweet boy. 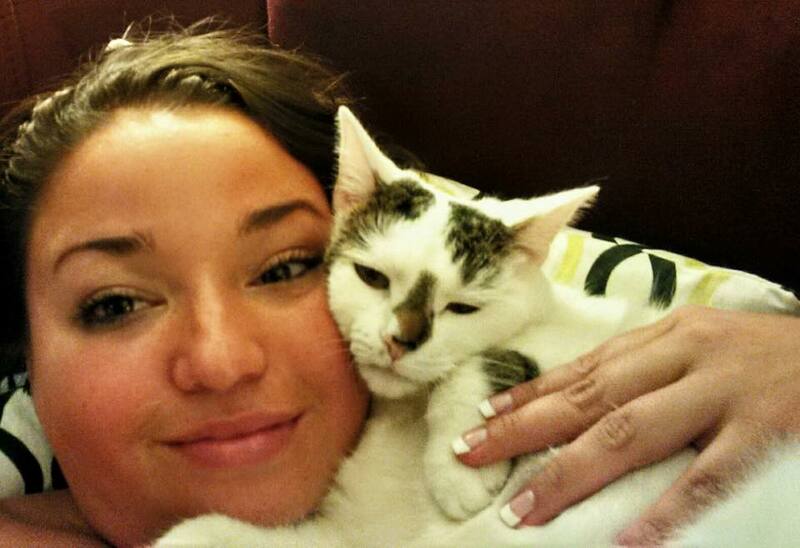 MOLLY found her forever home when her foster mama realized she just could not live without her!! We are so happy for Molly and Kristi! Happy Tails sweet girl! Thank you to all our supporters who came out to The Fat Frogg Bar & Grill for Rockin-4-Rescues to help raise money for Sparkle Cat Rescue AND The Biscuit Foundation! We had a wonderful day of good food, great music, hanging out with good friends, and raised $500 for Sparkle Cat Rescue! Tee shirts are in! Thank you to all our supporters who placed pre-orders! The tee shirts have been a hit and are raising money for our kitties! 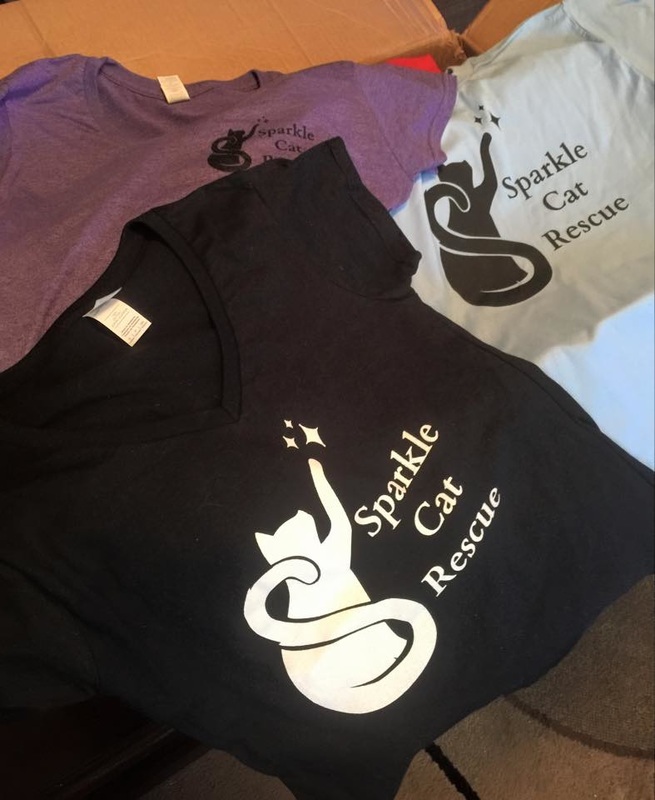 Contact us at sparklecatrescue@gmail.com if you would like to order a shirt! We will be doing another pre-order special soon with you able to choose your color! Our standard colors will be heather royal for men (crew neck), heather purple for women (vee neck), and blue or pink for youth. $15 for adult shirts, $12 for youth shirts. A big thank you to Fuller Specialty, a local tee company, for helping get our orders produced so quickly and professionally! Contact us at sparklecatrescue@gmail.com if you would like to order a shirt! After being in foster care for almost 2 years, PENNY has been adopted by her foster family - co-founders of Sparkle Cat Rescue - and she will never have to worry about her future. She has been an incredibly timid and shy cat since she joined her foster family and hid and unable to be touched for months. She made major improvements with love and patience and her place is at Sparkle Central. TIA was trapped for TNR (trap-neuter-release) on Sunday but we couldn't bear to see her go back to a life outdoors as tiny as she is. She is four months old and only 2.5 lbs and the size of a 10-week old kitten. Her siblings were healthy and larger. We nursed her back to health. During the month of September, we are honored that members of a poker league in Burlington are collecting donations for us! Thank you to Tony's Pub-N-Subs for hosting their tournaments and allowing them to collect donations, and thank you to World Tavern Poker Burlington NC players for being so generous and donating to us! We went to meet all the players at their first tourney and told them all about Sparkle Cat Rescue. What a wonderful group of people!